How's your New Year's resolutions going? Are you energized, excited and getting on with them or are you already in a funk and just want to give up, and curl up in bed like my dogs (see pic)? I'm somewhere in between. I have moments of excitement and commitment to making changes in my life that will help me be the person I want to be, and live the life I want to live. And then there's the other moments.... You know the ones. Where the temptation of living the same way, making no changes, is lurking there, just waiting to pounce. It's kind of like the temptation that comes when you swear off eating chocolate but there's still half a box in the cupboard. I'm trying to push through the temptations and try some new (and some old) tactics to stay on track with the things I want to achieve. Pomodoro techniques are coming back to my work days. I'm thinking about setting up some new 21 day challenges. I'm portioning out my changes over days of the week, so they don't seem so overwhelming. And I'm trying to be more disciplined in deciding what I do, when I do it, and how I do it. It's not easy being mindful of your actions all the time, so I'm hoping that some of these practices will soon become habits in my life, and much more automatic. I'm always on the look out for more tips and tricks on habit changing and time management, so if you have any tried and true techniques let me know. 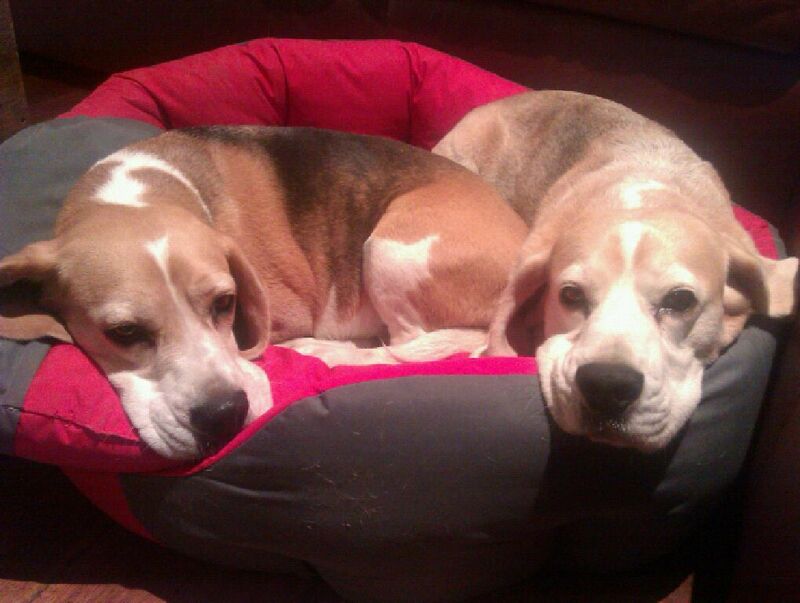 PS - I can't claim credit for the cute photo of my beagles. Our friend Katie took it while she was baby sitting them. Aren't the cute & lazy!